The tunic features a comfortable, A-line cut with an eye-catching pleat just below the neckline. 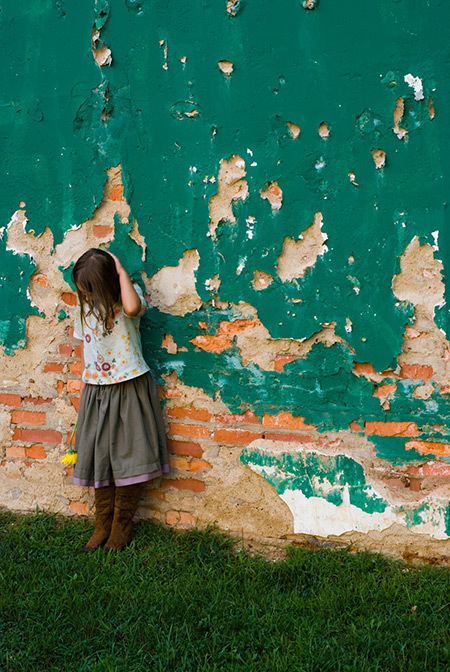 Dress it up or down with your choice of fabric. 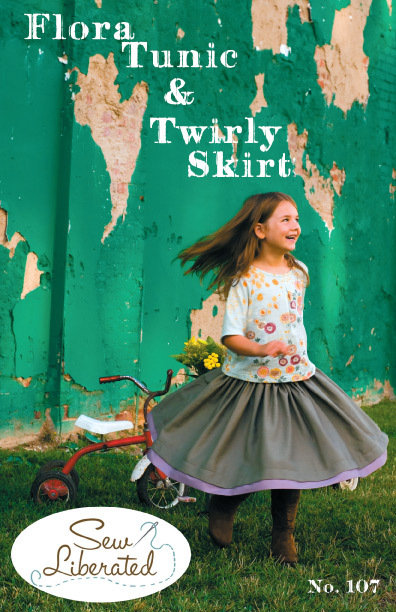 The Twirly Skirt is, perhaps, the twirliest of all - the weight of the fabric and the faux skirt layers give it such a satisfying spin! 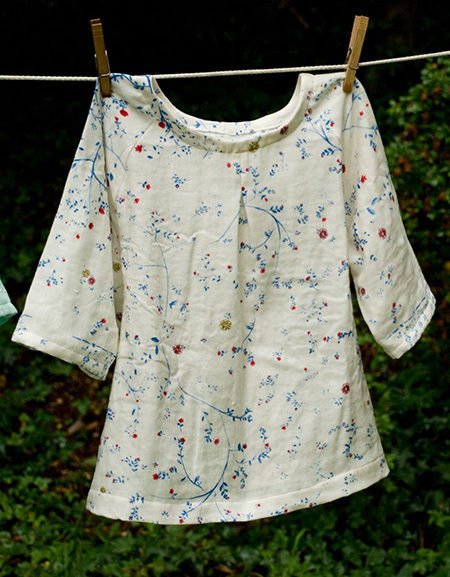 The pattern includes instructions, assembly diagrams, and many full-size pattern pieces for girl's sizes 2T-10. 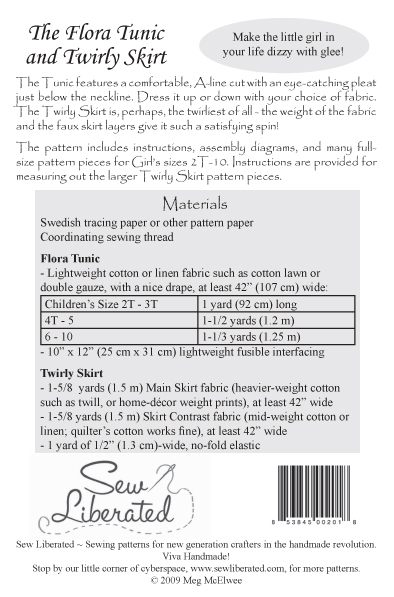 Instructions are provided for measuring out the larger Twirly Skirt pattern pieces.